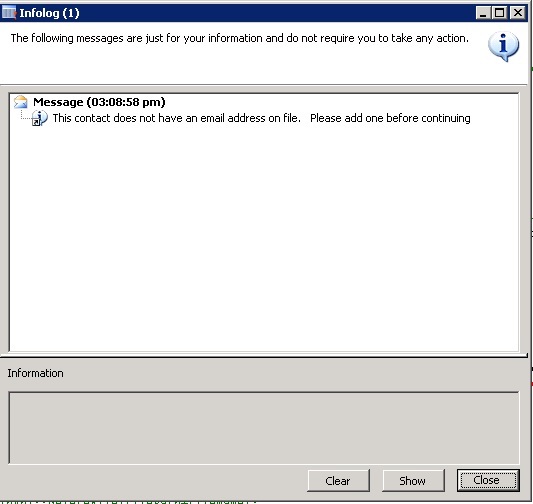 Today I had a requirement that would allow a user to go to a ContactPersonLookup form record from an infolog that would be showed when a user wants to send an email to a contac without an email address. 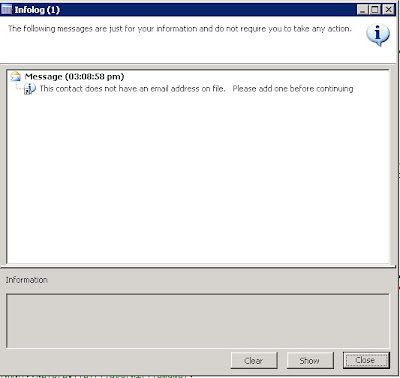 By clicking the Show button or double-clicking the message, the user will be taken to the ContactPersonLookup form record I want them to add an email. By setting the EDT variable to '', if nothing is found will be empty. This is good as I don't have to have the variable twice as shown in the original post.